BabyPips.com :: International Portfolio :: PRO IT Service S.R.L. - Choose a professional and accessible service for your online image! Implementing content management system for the Blogs and School Sections, as well as the embedded Random Quotes Facility. 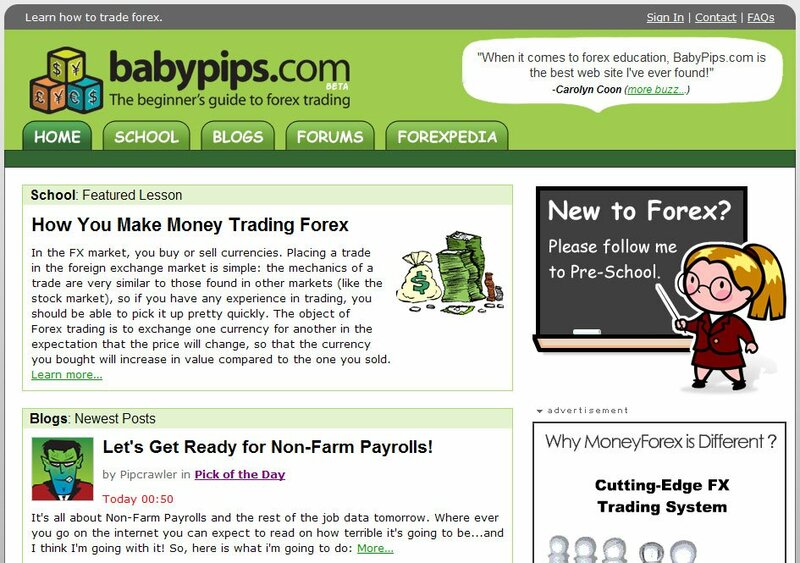 Search engines compatibility for BabyPips, the beginner's guide to forex trading. Small layout changes to the initial Web site layout. Implementing and Managing Web site Content and content feeds. Advanced content organization for the School section. Implementing MovableType extra facilities for: Email to a Friend, Printer friendly version, Online Bookmarking Services, Comment Live Preview etc. Implementing dedicated blog for adding/editing/removing quotes that randomly display on the home, blogs, school and forums' pages. Contracting from BabyPips.com LLC., Richmond, VA, U.S.A.